KENT introduces KENT Sterling + , a new and advanced RO water purifier , which provides 100% safe and clean drinking water. 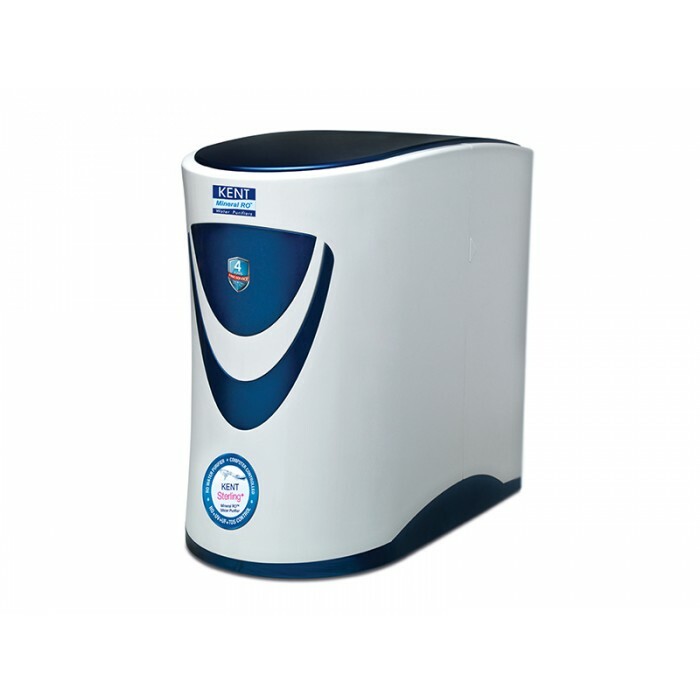 This RO water purifier uses KENT’s patented Mineral RO TMtechnology that intelligently retains essential natural minerals in purified water. KENT Sterling + is suitable for brackish, tap water and municipal water supply. KENT Elite employs two RO membranes and a high-pressure pump for purification that facilitates a flow rate of up to 40 litres/ hour. The slim and compact design ensures easy attachment with water coolers making it the most sought after water purifier by commercial entities.